On this page you will find information about the course "Computersystemen en -architectuur" (1001WETCAR) for the first semester of the 2018-2019 academic year at the University of Antwerp. This page is under construction! You will still find some of last year's material (such as assignments). This page is written in English for the benefit of foreign Erasmus students. Note that the course is taught in Dutch however! For which parts of the book correspond to the lectures, have a look at the overview of what to study for the exam. During the semester: permanent evaluation counts for 55% of the course grade. Assignments and Projects are handed in via Blackboard. Projects are evaluated during an oral defense. Examination period: the Theory exam counts for 25% of the course grade. The course material covered by the theory exam is described in this overview of what to study for the exam. Examination period: the practical exam together with its oral defense counts for 20% of the course grade. To pass the course, you need to attend or submit every part that will be graded (if not, your grade will be "AFW" - absent). Additionally, you need to get an overall score of at least 50%, and a score of at least 40% on the theory exam, and a score of at least 40% on the practical exam, and a score of at least 40% on the year projects (architecture and systems combined). If not, your grade will be min(7, your_score). your_score is the score you would get when applying the weights given above. Each of these parts may have to be re-done during the Second Session. You do not have to (but may) re-do those parts for which you got a score of at least 50% (i.e., "partiële vrijstelling"). You should explicitly ask for this exemption via e-mail and you will be notified via e-mail whether this request was granted. For the "during the year" parts, you will need to individually finish and submit (and defend) the "Computer Systems" assignments and a "Computer Architecture" project. These will be slight modifications of the original ones (see below). Deadline for these assignments is TBA (To Be Announced). Submission is done via Blackboard. The structure of the examination remains the same. All defenses take place during the examination period. The examination method and the material to study for the Second Session are identical to that of the First Session. There will again be a written theory exam about both CS and CA, as well as a practical exam with oral defense on Computer Architecture. The course material covered by the theory exam is described in this overview of what to study for the exam. All lectures (in PDF format) can be found online (on Blackboard, not updated frequently) and at the URL announced in class (updated frequently). Before each class, the slides are last year's. By the next lecture, the slides are updated to reflect this year's changes. In each lab session, you will be given some assignments (Computer Systems) and/or a project (Computer Architecture). All assignments are made individually, projects are solved in groups of two students. Fill in all solutions to the assignments in the file oefeningen.html. Each solution consists of text, screenshots and/or hyperlinks to files (i.e. scripts, MIPS-files, ...). Put all your files in a tgz archive. The name of that archive consists of your last and first name, without spaces. If, for example, your name is Jan De Smedt, the file name of your archive must be DeSmedtJan.tgz. The assignments can be found here. In each lab session, you will work on a project in pairs of two students. Projects build on each other, to converge into a unified whole at the end of the semester. During the semester, you will be evaluated three times. At these evaluation moments, you will present your solution of the past projects by giving a demo and answering some questions. You will immediately receive feedback, which you can use to improve your solution for the following evaluations. For every project, you submit a small report of the project you made by filling in verslag.html completely. A report typically consists of a summary of everything you implemented and an explanation of the choices you made ​​in the implementation. Again, put all your files in a tgz archive. The name of that archive consists of your last and first name, without spaces. If, for example, your name is Jan De Smedt, the file name of your archive must be DeSmedtJan.tgz. The projects can be found here. You have to adapt the HTML-code manually (i.e., in notepad) to fill in the forms. A good HTML tutorial can help you with this. Remark: in the forms, the <u> element for underlining is redefined to "overline". This way, you can express NOT in Boolean algebraic expressions: e.g., NOT A OR B becomes A+B. Unfortunately, double overline is not possible. Of course, you can always use the NOT A OR B notation. Both tools require java to run. The tools are installed on the lab computers. If you would like to run a UNIX distribution on your own computer, we suggest Ubuntu. You can install Ubuntu next to your Windows using the Windows installer. After installation, you will be able to choose on startup between Windows and Ubuntu. If you would like to run Ubuntu inside your Windows, you can install Ubuntu on VirtualBox by following these steps. In order to copy files in Windows from and to servers (e.g., between your laptop and the studento.uantwerpen.be server) you can use WinSCP. You can simply use the scp command ("secure copy") if you are using UNIX. You can only access the studento.uantwerpen.be server from a university network or through a vpn connection (to access this page, open it after you are logged in to Blackboard). Beware that Blackboard's clock may differ slightly from that on your computer. Allow a margin for submission. Be sure to check that your submission was actually made. Check for example under Grade Centre whether your (as yet unmarked) submission shows up. Introduction session on Unix commands. The use of Unix Shell Commands is explained. Introduction and assignments on regular expressions and sed. Introduction to and assignments on UNIX Scripting. Introduction to Logisim and the use of gates. 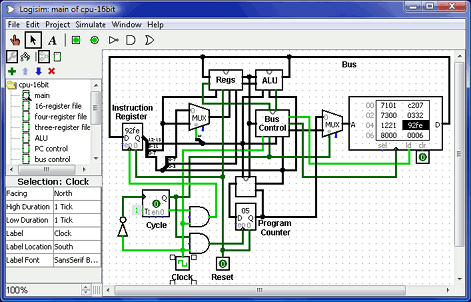 Build an 8-bit adder (ripple carry adder and carry lookahead adder). Build a register file, counter, stack, and a finite State Machine for a traffic light. 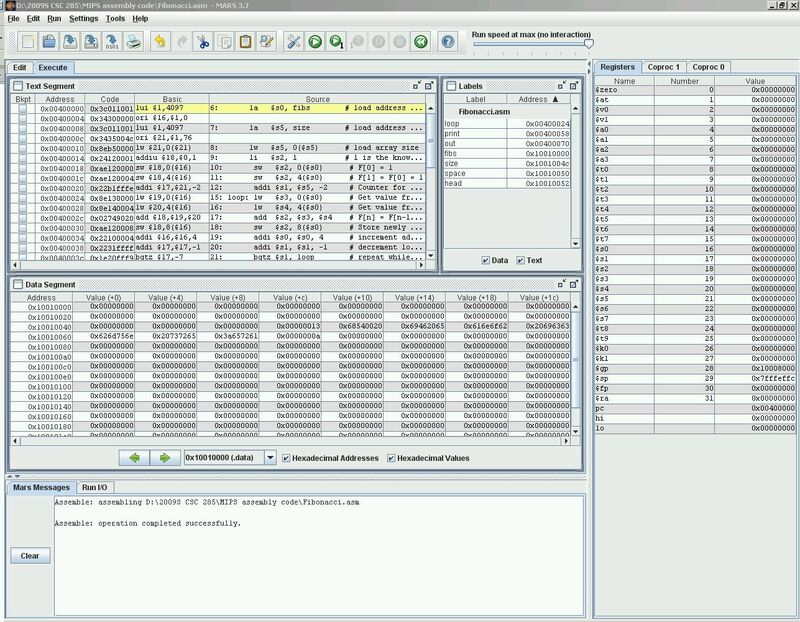 Build a program counter and a datapath. Add branch, jump and immediate instructions to the instruction set. Write programs to run on your datapath. Maintained by Hans Vangheluwe. Last Modified: 2018/12/14 02:09:21.